Actually there are 1200 steps to the top, and that doesn’t include the steps we had to climb to get to the steps, nor the kilometre or so walk from the car park, nor the return journey. 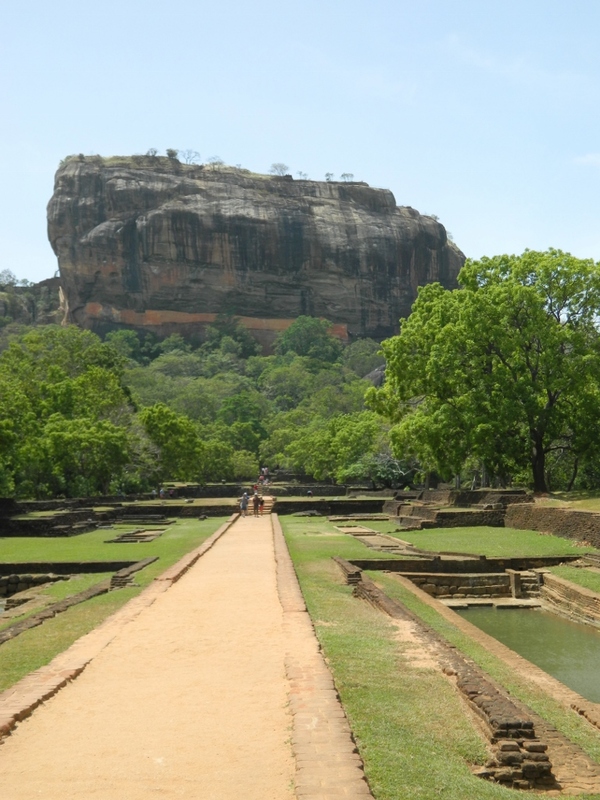 Sigiriya Rock is a “fortress in the sky” a massive monolith rising 200 metres above the surrounding plain. It is topped by the ruins of a Buddhist monastery dating from the 3rd century BC and subsequently a palace in the 5th century. You reach the ruins and cave paintings by climbing a combination of uneven sometimes slippery stone steps, spiral staircases and platforms hanging over sheer drops. Needless to say, as I suffer from a touch of acrophobia, I spent most of the time with my eyes locked on either the rock wall or on the steps. 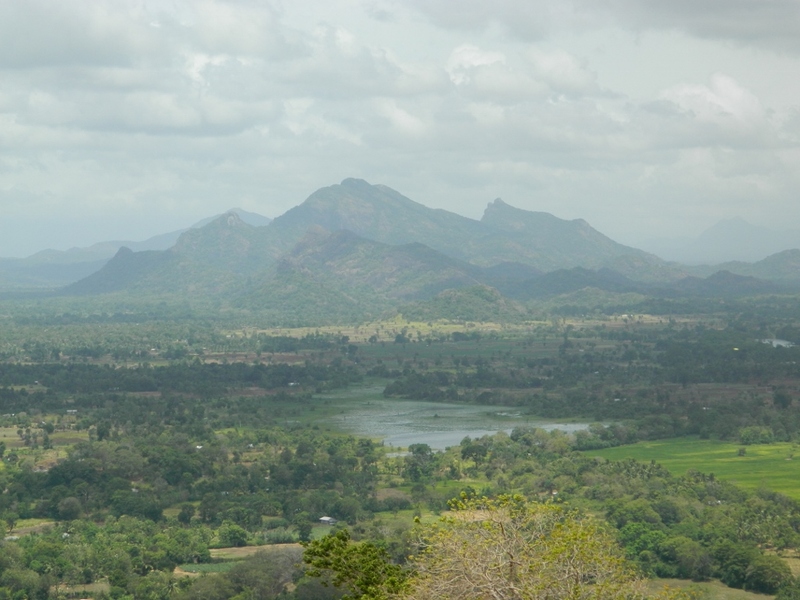 It wasn’t until I reached the top that I could relax and fully appreciate the fabulous 360 degree views of the surrounding countryside. I think it’s fair to say that Di, Jim, Carol, Kerrie and I were pretty impressed with ourselves for making it to the top. Jim deserves a special mention as he completed the climb with a handicap … a squidgy stomach … and there are NO toilets ANYWHERE on the climb ! !